Clarice Scriber is an executive coach and President of Clarity Consulting, Inc., a Baltimore-based company that specializes in coaching clients who want to enhance their leadership communication and presence for organizational results. For the past 15 years, Clarice has coached seasoned executives and managers who have been successful in delivering results, but need to develop their interpersonal communication and leadership skills to achieve their goals. As part of her coaching offer, Clarice works with leaders who want to enhance their podium and presentation skills. Clarice believes that leaders must find their voice and the leadership style that works best for them. 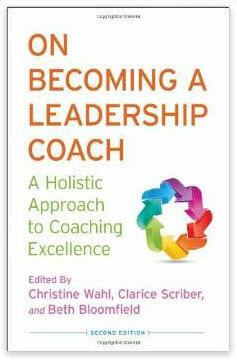 To that end, she coaches leaders to find their authentic presence to discover new possibilities and creative solutions. 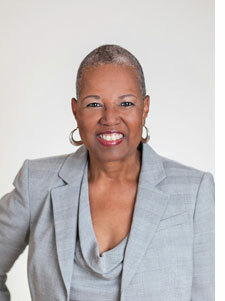 Prior to launching Clarity Consulting, Inc. Clarice was an executive coach and senior consultant at Fannie Mae, where she worked on a team that designed and managed the company’s high potential development programs and coached senior leaders. Before becoming a coach, she was an executive speechwriter at Fannie Mae, a journalist and a public relations specialist in a top-20 television station and at The Baltimore Sun. For a number of years, she lectured and taught speech communications and journalism at Morgan State University and the University of Maryland, College Park. She is currently on the faculty of the Georgetown Leadership Coaching Program and is the co-editor of and contributor to the book, On Becoming a Leadership Coach: A Holistic Approach to Leadership Coaching (Palgrave Macmillan, 2013 and 2008).